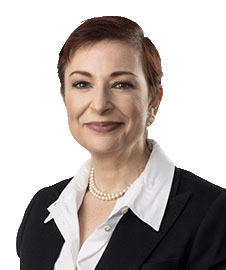 A resident of Las Vegas since 1972, Aileen Cohen is a highly skilled professional in all phases of civil and criminal trials and court appearances, including oral argument in motion and evidentiary hearings. In addition to her courtroom experience, she is well versed at representing her clients’ interests in all forms of alternative dispute resolution (ADR) and administrative hearings. She practices general civil and complex litigation, primarily in the areas of insurance defense and coverage issues. Ms. Cohen also practices litigation surrounding contractual and administrative issues. “Litigation is not limited strictly to a strictly defined concept of liability. The issues involved in any area of law require just as much focus on discovery and motion practice than a traditional tort or contract action.” Ms. Cohen presents seminars and advises clients about risk management, offering clients information beyond defense litigation in an effort to arm clients for the defense of future claims and help to reduce risk management issues from arising into a claim.